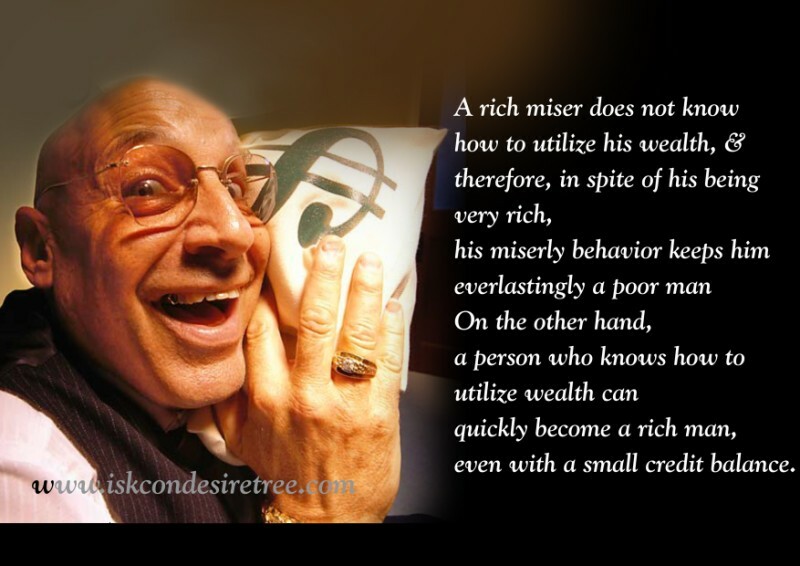 A Rich miser does not know how to utilize his wealth and therefore, in spite of his being very rich, his miserly behaviour keeps him everlastingly a poor man. On the other hand, a person who knows how to utilize wealth can quickly become a rich man, even with a small credit balance. 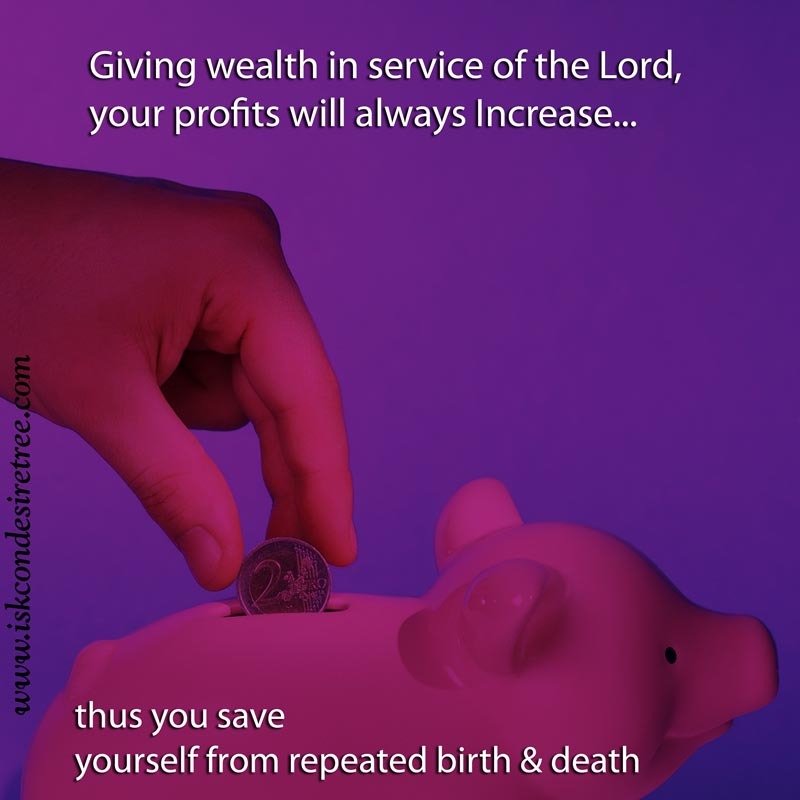 Giving wealth in service of the Lord, your profits will always increase. Thus you save yourself from repeated birth and death. There are many in this world, and specially in India, who think wealth & power can make a person happy. For them I say, I am comming right from that point, down the road, there is nothing! 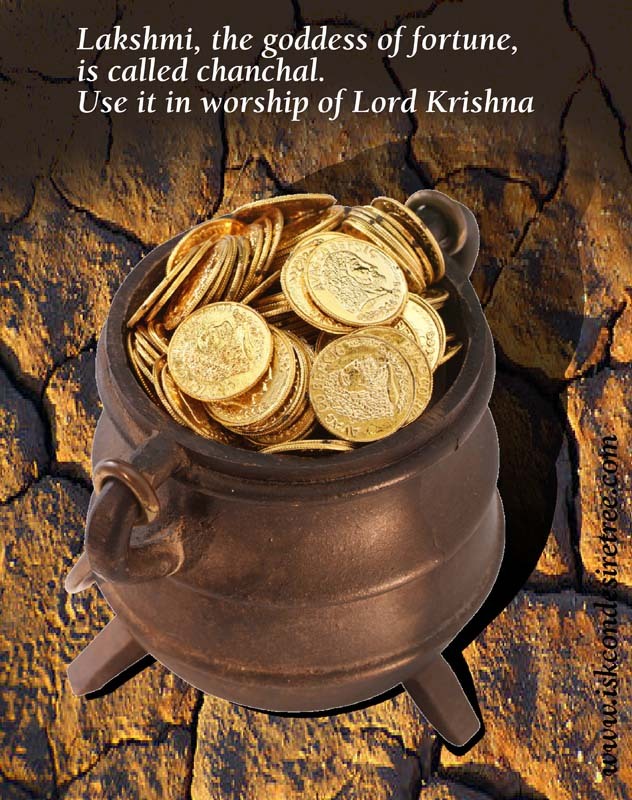 Real wealth that Krishna gives us it the fortune to be allowed to be enjoyed by Him, to serve Him, to be with His devotees. We are dhanyatama. We are very rich. How are we becoming rich? We are getting this wealth of holy name and of holy pastimes.This is all wealth, dhanam. It is wealth. This is how one become wealthy and these riches will satisfy one, satisfy the soul. That’s what we are. Other riches, worldly riches may entertain the body and the senses but deep within will be always disatisfaction. Real self will only be satisfied by feeding this Krishna-kathamrtam.